About Us – Horsham Flying Club Inc. The Horsham Flying Club is the new name of the Wimmera Soaring Club (WSC) and the Wimmera Sport Aircraft Association (WSAA). The two clubs joined together in 2004 to provide new aviation opportunities and experiences for their members. The two clubs have had a long and proud history is fostering sport aviation in the Wimmera Mallee. Throughout 2004 the two clubs looked at the benefits of combining their respective operations at one site under one banner. To further advance sport aviation in the Wimmera and provide inexpensive powered flight options for its members, the club purchased a Jabiru LSA Ultralight in January 2005. The club operated as the Wimmera Soaring Club after the members of the WSAA joined the WSC. 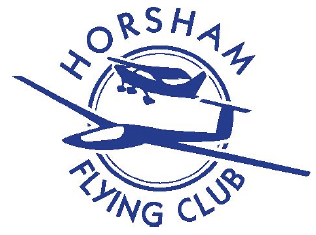 The membership of the club elected to change the name of the club to the Horsham Flying Club to better reflect the aspirations of all its members. The name change came into affect in the last quarter of 2005. The Wimmera Soaring Club was formed in 1963 after a public meeting held to gauge interest in forming a gliding club. The meeting was held after a weekend visit to Horsham by the Sunraysia Gliding Club introduced gliding to the the area for the first time. The club initially operated from the paddocks owned by local farmers using a winch and a T31 two seat trainer purchased from a Narramine sydicate. The club moved regularly at first and finally established itself on the Horsham Aerodrome in 1967 and became an all aerotow operation, initially with a Tiger Moth, followed by a Chipmunk and finally moving on to the first of two Pawnee’s. The club grew with time and peaked in the mid 1970’s after the World Gliding championships were held in Waikerie, South Australia. Membership had slowly declined over the 1990s with the encroachment of other sport aviation alternatives. The Wimmera Sport Aircraft Associations began operating ultralights and gyro copters from a farm strip at Natimuk, 25 kilometres west of Horsham since the early 1990s. The club grew rapidly and held regular fly-ins at their private strip. Despite these successes the club ran into the problem of not have a certified ultralight aircraft for members to hire. They also had a number of prospective pilots looking for pilot training and an aircraft to hire once issued with a pilot certificate. So two groups with the same interests and goals finally made the decision to come together and provide the Wimmera with a true home for all forms of ‘Sport Aviation’. Today has a small but growing membership operating from an established airfield with top class facilities and aircraft. The club welcomes all sport aviation enthusiasts and has established links with local and visiting Hang Gliding Groups, Powered Trike Operators, Ultralight Clubs as well as General Aviation Groups. The club has well established clubrooms with a licensed bar for socializing after the days flying. Hot food and drinks is available from the kitchen attached to the main clubroom. A bunk house with three separate rooms is available for the use of members and guests. There are currently 12 beds available. Toilet and shower facilities are available in the main hanger complex which incorporates the clubrooms and kitchen area. Camping facilities, both powered and un-powered are available in the surrounds of the club complex. The club maintains its own gliders and has a dedicated workshop set aside for maintenance work.